Hello fellow student affairs enthusiasts and friends! My name is Katie Yeaton and I am new to Student Affairs – the First Years. I am currently in my first year in the Master’s of Higher Education program at the University of Nevada, Las Vegas – Go Rebels! I am wicked excited to be sharing my experiences with y’all and I hope to here from you in the comments section. To kick-start my posts, I am sticking with a ‘November thankful’ theme. 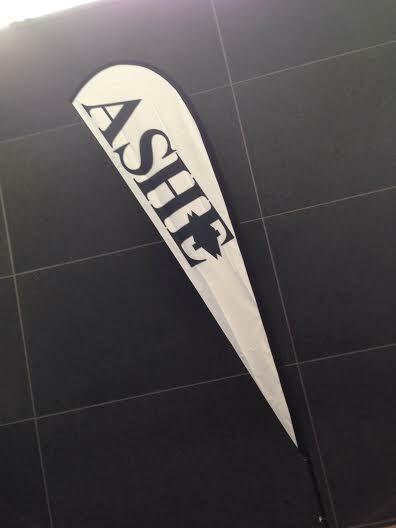 Last week I was fortunate to attend the annual ASHE conference in Denver, Colorado. 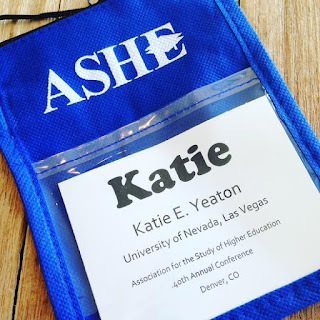 The Association for Study of Higher Education, or ASHE, is one of the reasons I choose to come to UNLV since they are the host sight of this academic side of higher education. 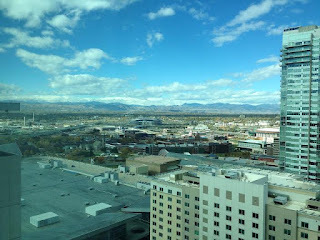 When I first arrived to pre-conference, I must admit I was overwhelmed with the number of people. When someone told me Astin was attending this conference, I just about freaked. Clearly I was excited to be at ASHE and to be among the writers of all of the student affairs and higher education I am reading. The number one part of this conference I am most thankful for was the Council for International Higher Education’s Mentorship program. I was one of two Master’s students in a sea of Ph.D. seeking students. Clearly I was in ah over my mentorship group’s accomplishments. After talking for about an hour, I started to feel more confident in my decision to come to UNLV, to work in both Student and Academic Affairs, and my goal of completing my Ph.D….someday. I am so thankful for my mentor and fellow mentees who stopped me from saying, “I’m just a Master’s student,” and now push me to search for the best-fit Ph.D. program. I know all of this work seems years away, but for a first-generation college student, like myself, I am elated to be doing the unexpected and yet so fulfilling. Thank you all for reading my first post! I would love to hear about your favorite conference experience in the comments section!